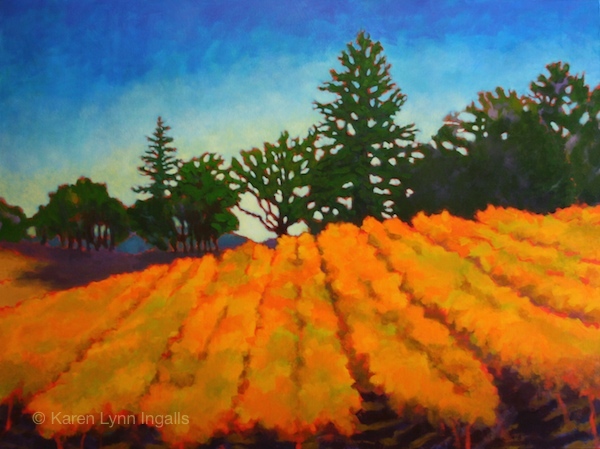 Napa Valley painter Karen Lynn Ingalls creates work with vibrantly charged color. 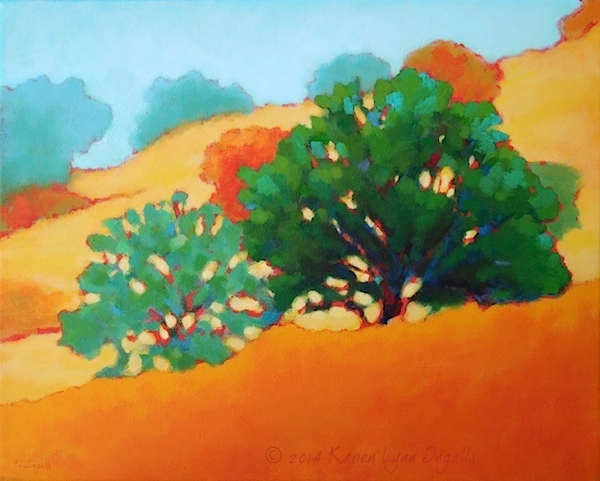 Her colorist landscape paintings of rural California often employ yellows and oranges, and warm blues and greens that glow with a warmth redolent of a kind of eternal summer, a kind of archetypal last, golden hour of the day. 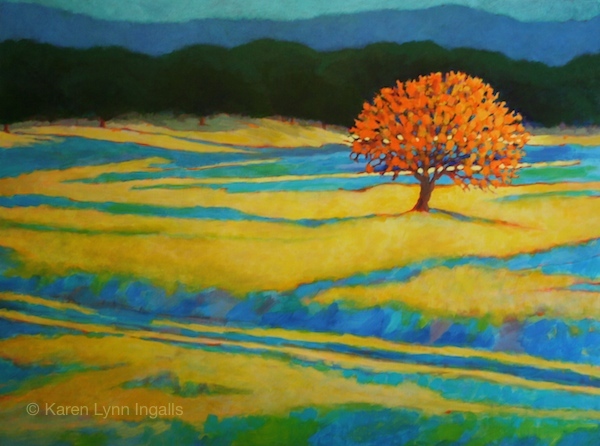 Although her colors change depending on the seasons, the landscape, the time of day, and what interests her, she frequently returns to this palette, which she describes as containing "a kind of visual Vitamin C." It is these colors that people often remark on as drawing them into her work. 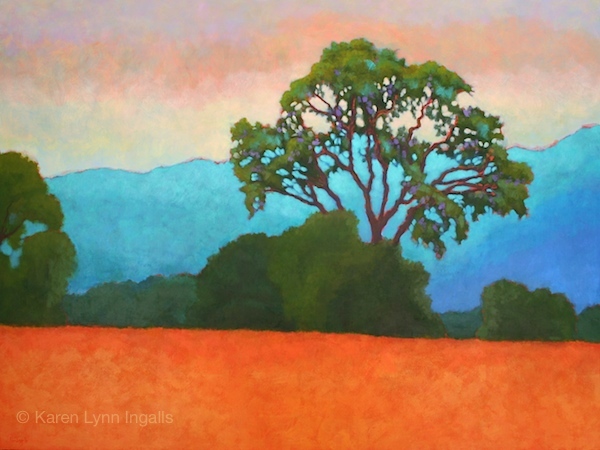 They are the colors of a golden state — perhaps a California that is a state of mind, or a state of the heart.